Sigfox reckons it can make wide-area wireless modules so cheap that even disposable items can become part of the Internet of Things. What if every package shipped contained a $0.20 tracker chip that could report when and approximately where the package was opened? 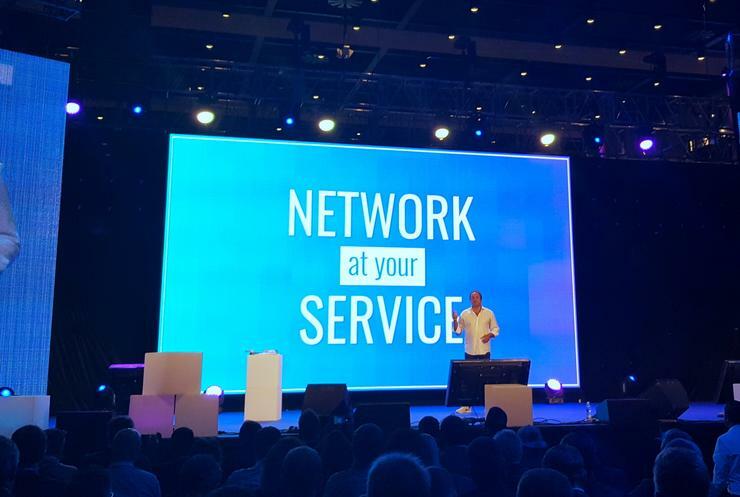 That’s a service that Internet-of-Things wireless network operator Sigfox thinks its partners could offer over the next year. It demonstrated a prototype wireless module contained in a cardboard envelope at its partner meeting in Prague on Tuesday, triggering the sending of a text message when the envelope was opened. 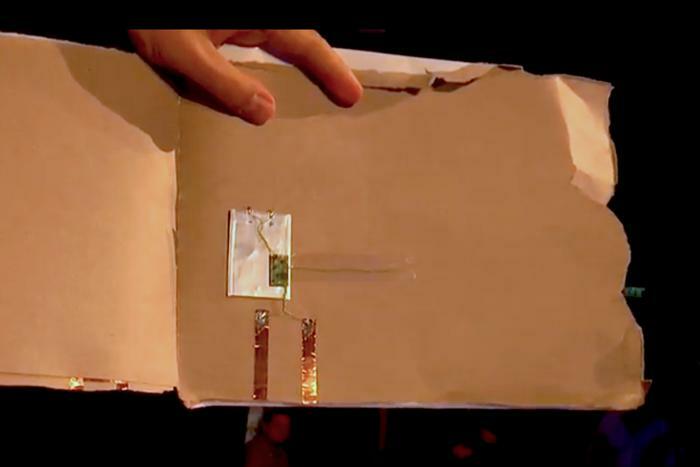 Ripping open the envelope, Sigfox scientific director Christophe Fourtet showed off what he described as “an ultra-thin battery, ultra-thin contacts, and an ultra-low cost module, a few tens of cents.” Seconds later, his phone buzzed to report delivery of the package. How Sigfox’s partners have been able to cut the cost of those wireless modules from US$15 in 2015 to $2 today — and, by dropping some non-essential functionality — will cut it to $0.20 in the near future is largely down to the architecture of its network. Its wireless base stations across the country use software-defined radios and highly sensitive antennas to listen out for 12-byte packets of data sent by simple, battery-powered wireless modules. Sigfox can then retransmit those messages over the internet, trigger the sending of SMSs, or feed them into corporate IT systems through its APIs. The modules that work with Sigfox’s classic service, now renamed Admiral Blue, are bidirectional (they can receive as well as send) and can encrypt their messages. “If you don’t need the bidirectional transmission, if you don’t need the full security, we can do something simple,” said Fourtet. That simple service, called Admiral Ivory, works with modules little more sophisticated than a garage door opener or wireless doorbell. “It’s an almost free-running oscillator with two basic IOs that you can find on any simple microcontroller or almost any digital device,” he said. The Sigfox Admiral Ivory service uses low-cost wireless modules based on a simple circuit schematic to transmit short status messages from disposable objects. The modules don’t need a GPS receiver to report their location: That’s all handled by Sigfox’s network. It’s able to locate the modules by comparing the strength of the signal received by its different base stations. For now it’s accurate to within a few kilometers for 80 percent of devices. In time that accuracy will improve to within a few meters in many cases, as the company is using machine learning to analyze the data it receives, CEO Ludovic Le Moan said. There’s one situation in which the modules can’t rely on the network to calculate where they are, and that’s when the send their first transmission. To comply with local radio regulations, they at least need to know what country they are in. In this case, the modules listen to the frequencies local base stations are transmitting on to deduce on what frequency they should reply. The wireless modules only represent part of the cost of sending a message over the Sigfox network: There’s also the cost of a subscription to the service. Le Moan said that could come down to as little as $0.10 per subscription for devices such as package trackers that are only likely to send a few messages per year. At that price, partners’ and resellers’ administrative costs are likely to be higher than the cost of the subscription, so Sigfox is also introducing a self-service portal for provisioning wireless devices on its network. While Sigfox’s service is going gangbusters in the 32 countries where it is offered (and Le Moan announced four more to come in Prague) one thing holding it back is that devices need to be built around a special Sigfox module in order to use it. Devices built to operate on the narrowband LTE networks offered by traditional telecommunications operators for IoT applications won’t work with Sigfox. 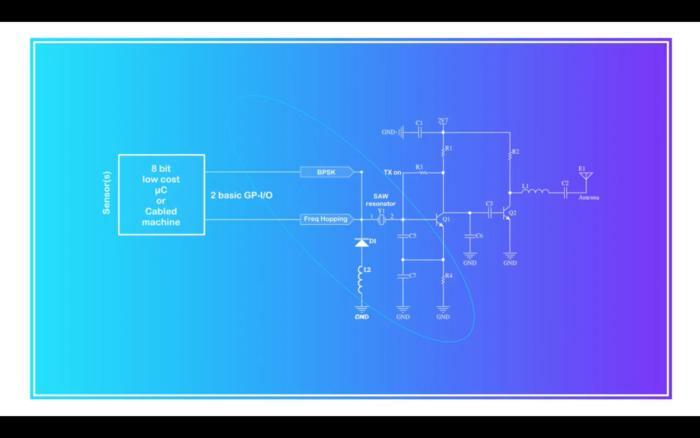 Soon, that obstacle will disappear, Le Moan revealed, as Sigfox partner GCT Semiconductor has developed a firmware upgrade for its LTE-M1 modules that makes them compatible with the Sigfox Admiral Blue service. No hardware changes are necessary, he said: The modules are already capable of emitting and receiving the necessary signals.